As some of you may know, I have been on a mission to find wheat free recipes for my son. He has a wheat allergy along with a few other foods like apples and bananas. Yeah, the three things he ate the most every day, bread, bananas and apples! I was at a loss at what to offer to him to eat, I bought a few different things from natural health food stores, but almost everything was inedible. Honestly, who buys this stuff? Just because you can't have gluten, doesn't mean you should eat things that taste like cardboard. 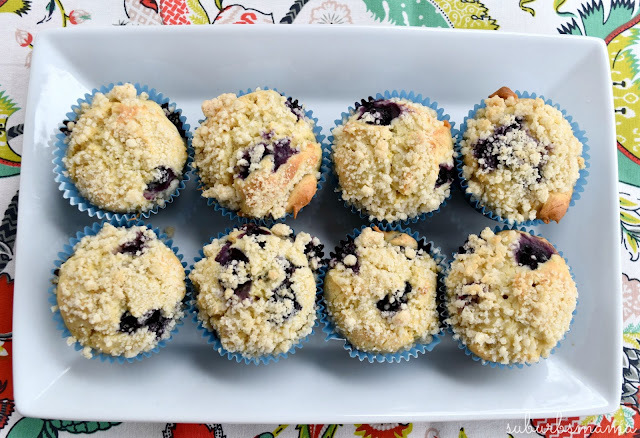 I make muffins once a week at our house, my kids eat them for a quick breakfast along with some fruit. Now that my son can't have wheat, I decided to find a gluten free recipe. I tried 2 last week and they were both fails. I even bought a box of GF muffin mix which was highly rated, may I add. Yet it tasted bitter and so dense. I was getting pretty discouraged. 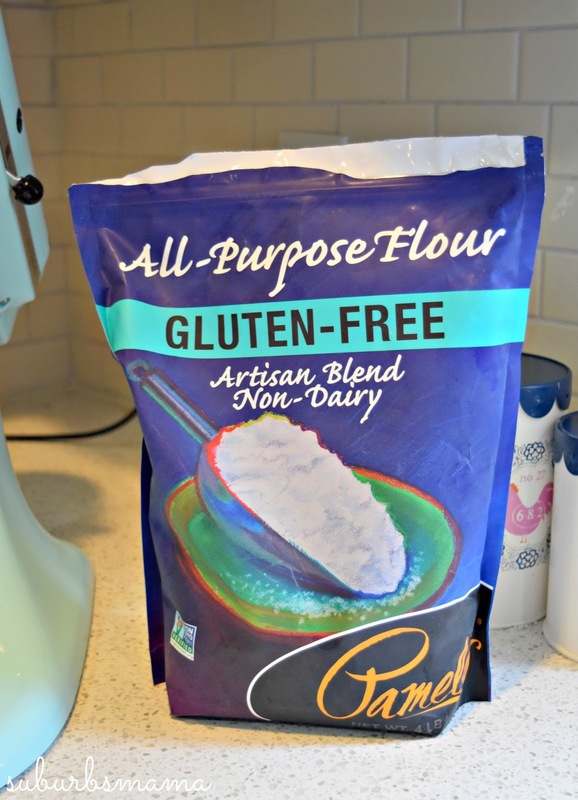 This flour blend is made with brown rice, tapioca starch, white rice, potato starch, sorghum flour, arrowroot starch, gaur gum, sweet rice, rice bran. I love that it is already premixed so you don't have to mix gluten flours yourself. Amazon sells it for $15, but I found it for around $12 at my local health food store. To my muffins, I added some orange zest and fresh squeezed orange juice for an extra kick of flavor. They are so good, that don't taste gluten free at all. If you heat them up in the microwave for about 5-10 seconds, they will taste like you just pulled them out of the oven. -Preheat oven to 350º. Line a muffin tin with paper liners or grease with cooking spray. - Prepare the crumble topping by whisking the ingredients together in a small bowl. -In a stand mixer, beat together the butter, sugar until light and fluffy. Add the eggs, vanilla, milk, orange juice/zest and continue beating until smooth. -Mix in the flour mixture, baking powder, xanthan gum and salt just until combined. -Fill the muffin cups about 3/4 full of batter. Sprinkle the crumb topping over each muffin. -Bake at 350º, for 25-30 minutes. Or until toothpick inserted into the middle of the muffin comes out clean. 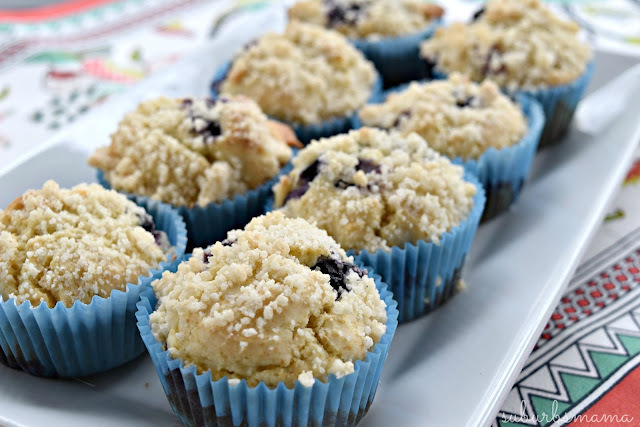 -Let muffins cook for about 5 minutes in the muffin pan, and then remove to a wire rack.